The first thing I noticed about the lashes of course was the double band, having been used to wearing a lash that has one very thin and flimsy band I was worried these new, improved, double, super wham bam lashes would be too heavy on the eye or perhaps that the band would be overly obvious and make me look (more) fake, but that hasn't been the case. In fact since wearing them I've had more people ask 'what my secret is' to long and healthy lashes which of course I still myself do not know, but hell if I had wanted to tell folks I did an egg eye wash or caked them in Vaseline every night I'm sure I'd have duped many. 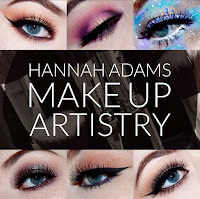 Where yes in reality these lashes give me a more doll like appearance than my natural piggy eyed state as they fan to the sides slightly and really 'open up' the eye - which is fab for someone with a hooded eye like myself. 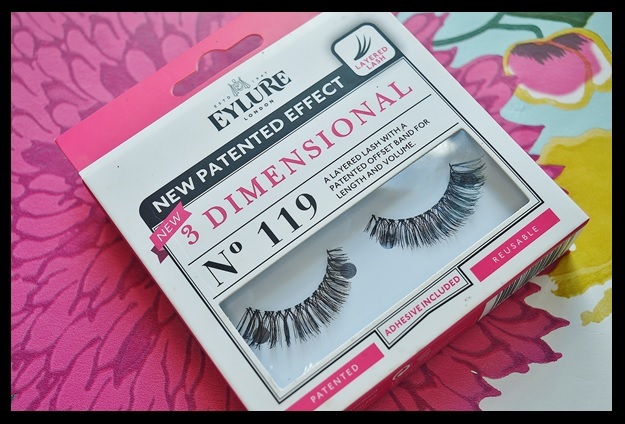 In their collection I belieive at the moment Eylure only offer another one set of 3D lashes the 111's which I have also tried but don't give as 'natural' a look as the 119's. At the moment I have about 3 sets of these ready and rearing to go (shout out to Superdrug and their 3 for 2's) but these last around 3 / 4 weeks if you clean them properly and of course remove them carefully! Just as a quickie reminder, if you need a quick crash course on false lash application I have a 3 step super simple false lashes in a flash tutorial that you can read through right HERE. Which lashes do you love or loathe? I'd personally love to hear your suggestions, comments and favourites in the box below, come share your best brands with me on Twitter, or of course keep up with my other channels, Instagram, Facebook, Bloglovin etc, etc. Until next time folks, 3D glasses at the ready! They are my new favourite! Let me know if you give them a try I'd love to see them on someone else!